When Scott Trask gets a job at his law firm, Preston Reynolds begins to feel the same attraction he felt for his best friend’s younger brother years earlier. But he couldn't be sexually attracted to the young gay man. Preston isn't gay. Scott has been in love with Preston for years, but the man is straight, and at one time married. Being divorced now doesn’t make him available. Yet, when the two of them are alone at the office one night, Preston surrenders to the urges he’s tried to ignore and they begin a passionate affair. Publisher's note: This book was originally released by another publisher in two separate volumes. In this volume, the two stories have been revised and edited and combined in an omnibus version. Shawn Lane is a new-to-me author. 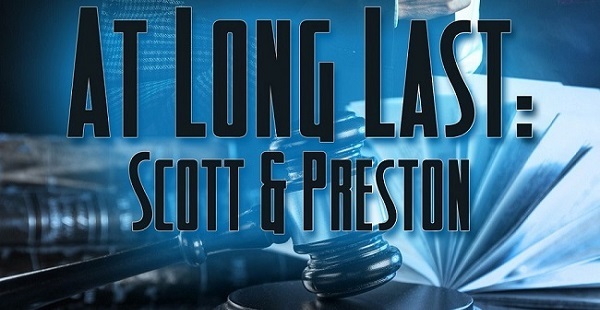 At Long Last was an indulgent short novella, narrated by Preston and Scott. Preston works with Scott's big brother and father at a firm, and after six years, Scott comes back to town to work in the family business. Preston is a divorcee with two small children, had always identified as straight, but always lingered when looking at his best friend's baby brother. Preston's world tilts when he decides to give Scott a taste. Shawn Lane's writing flowed fluidly, making an enjoyable two hours of guilty pleasure reading. The novella is basically 70% between-the-sheets action, but around the half way point in the book, I began scanning those scenes, as it became redundant and filler for such a short novella. The 30% of storyline was pleasing, the conflict surrounding Scott wanting more than Preston was willing to give – hearts and flowers and I love yous within a handful of encounters over a two-week time period, creating angst because Preston wasn't out, or even sure if he was gay in the first place. Recommended for fans of MM Romance, who want a ton of lusty scenes, and don't have time to delve into a full-length novel. Preston Reynolds is shocked by his feelings when his best friend's brother, Scotty, gets a job at their firm. Scotty left six years ago for New York, but he's back in LA working for his father. Preston is a divorced father of two. Being gay is something that never crossed his mind until Scotty comes back to LA. Scotty has been in lust with Preston for years. He knows it’s a dead end crush. Preston's straight and Scotty is completely out and proud of who he is. Preston can't understand the attraction to Scott, but he can't not act on it either. Things between them are hot and heavy until Preston insists that being "abnormal" is something he wants. He needs to keep what's between them secret. Scott isn't about to hide who he is for anyone...or is being with Preston enough to go back into the closet? Preston needs to figure out what's important to him. I enjoyed Scott and Preston's story. It hit me in the feels a few times and I found myself shedding a tear or two. I felt bad for Scotty, but Preston too, it was a whole new world for him. With the two stories combined into an omnibus it was a quick read. 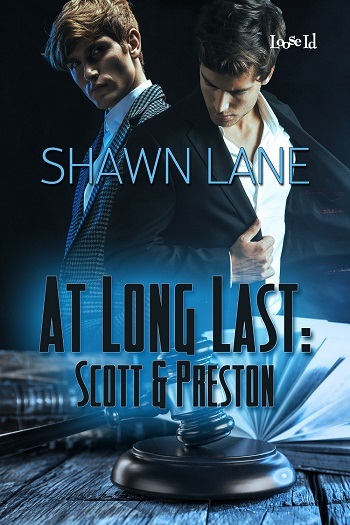 Reviewers on the Wicked Reads Review Team were provided a free copy of At Long Last: Scott & Preston by Shawn Lane to read and review.